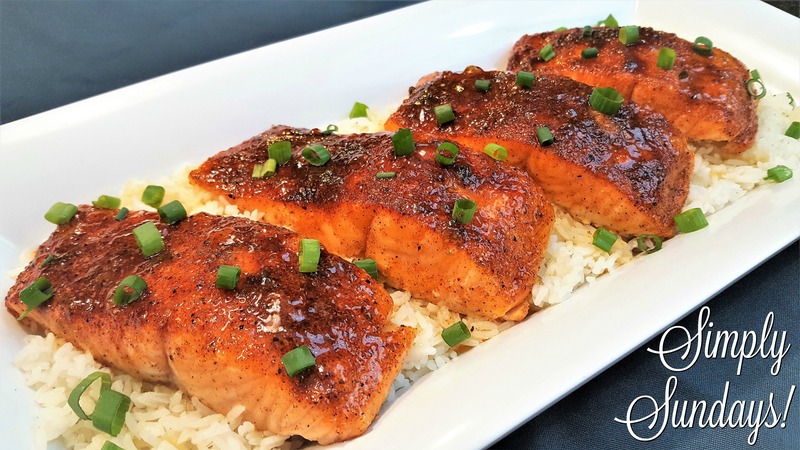 Pepper Jelly Glazed Salmon – Simply Sundays! I was trying to come up with a good glaze and I remembered we had a jar of pepper jelly my wife made and I thought that’s it! This turned out so good, a little sweet, a little spicy, a lot of yum! Our dog Pippin will be happy to get these cooked scraps! We served this over a bed of rice with some fresh chopped scallions! This was quick and amazingly delicious!! We really enjoyed this and I will make it again. Also, thanks for the great pictures and info on how to prep the salmon fillet. Whole fillets can be intimidating! So glad to hear you enjoyed the salmon! Glad the fillet instructions were helpful!